How can Technology Create a Mindful Classroom? The 4 C's of the California State Common Core Standards; creativity, citizenship, critical thinking, and collaboration are the focus for the 21st-century classroom. Many teachers struggle to bring their students' mind to this type of thoughtful work. Students, particularly those in high need, are challenged to focus, recall information, organize their ideas, and work collaboratively due to the distractions and stresses in their lives. We all know that it does not matter how well prepared your lessons are if the students are not adequately prepared to receive them. Routine mindfulness and meditation, with the incorporation of technology, may be the modern makeover for this ancient practice. Mindfulness is a meditation practice that brings complete attention to the present moment. In the classroom students are taught to meditate and participate in activities that promote attention to their senses, thought processes, and feelings in that given moment. In doing this the student is alerting their mind to be present in their learning. ​Many new studies are able to identify and monitor the damaging effects that stress has on the brain, making learning a challenge. In a 21st century classroom where the teacher is committed to bringing the instruction to the student’s mind, it is often seen that the child’s mind is not prepared for the work. The exercise of teaching students to be mindful of their environment, body and ultimately thinking, is an instructional practice that continues to establish it's overall effectiveness in and out of the classroom. Students learn, through the direct instruction of meditation and mindfulness practices, that they are to bring their minds to the task of learning. By today's standards, students are expected to explain their thought processes, employ active listening when collaborating with peers, and engage creative methods when participating in open-ended activities. Mindfulness allows the students' mind to be properly prepared for the rigors of these learning disciplines. The technology integration is just another step to ensure variety, visual applications, and interactive options when implementing mindfulness. 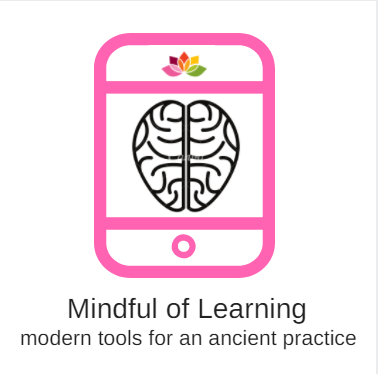 In the modern classroom things can move pretty quickly, so having a variety of tech options at your fingertips keeps mindfulness lessons efficient and useful. Like all lessons, mindfulness needs to be fresh and engaging. With the implementation of technology the students never consider it's antiquated origins. The importance of Maslow's Needs Hierarchy is well known and it sets the foundation for this Capstone's focus. The pyramid shows the basic needs that each individual requires in order to obtain stability and happiness. Unfortunately, the young students and I do not have the power to change the life factors that pose challenges to their well-being and their learning. But what can we change? The pursuit of practices that support students in stress management is our only weapon. 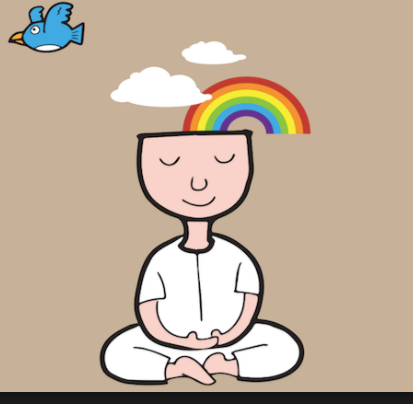 Mindfulness attempts to allow students to process their experiences, decrease stress, and managing feelings. Students learn that struggles are always going to be a part of life but how they respond to them is defining. Students must learn to gain control of themselves because, in life, that is all you can control. ​"You can't change what's in your students' bank account, but you can change what's in their emotional account."